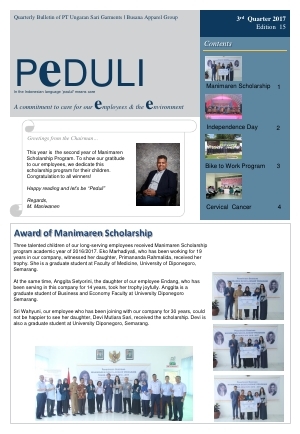 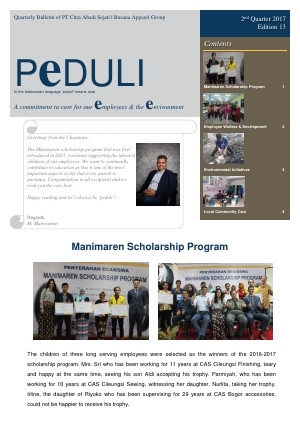 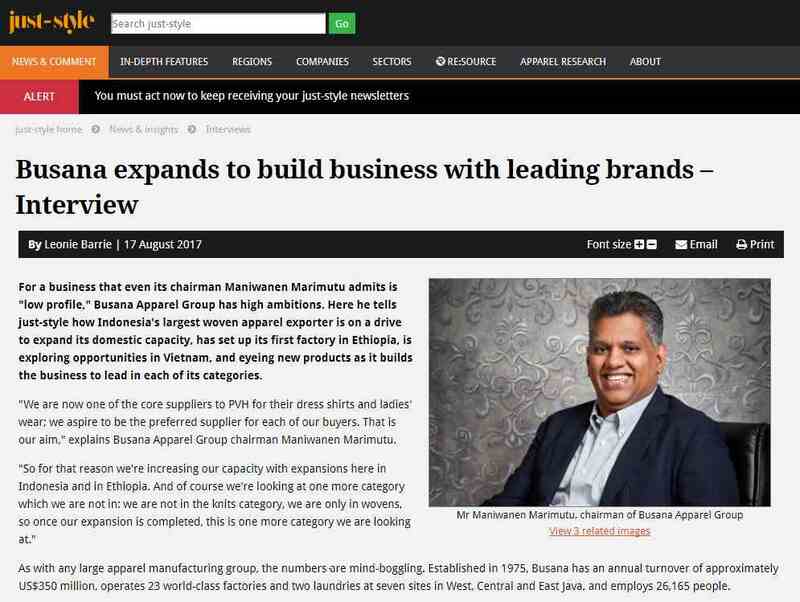 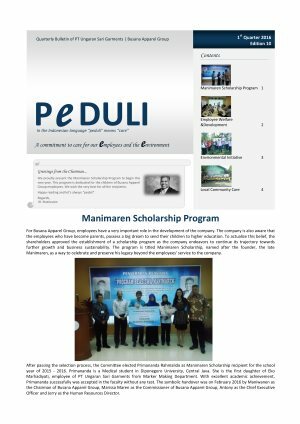 We proudly announced the establishment of Manimaren Scholarship Program in 2015 as a tribute to our late founder Mr. Manimaren, whose tireless efforts and relentless struggles have made it possible for Busana Apparel Group to develop and grow where it is today. 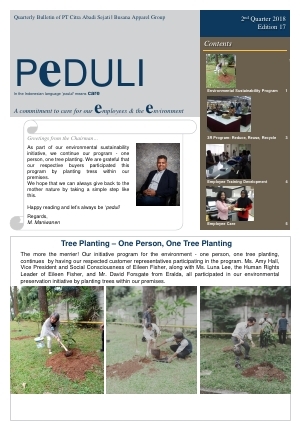 This program also as a way to celebrate and preserve his legacy beyond the employees' service to the Company. 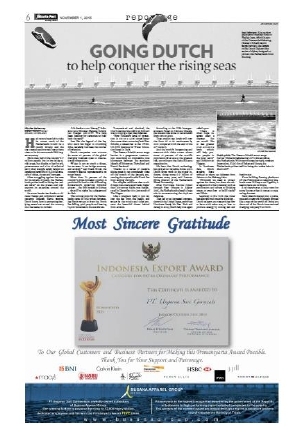 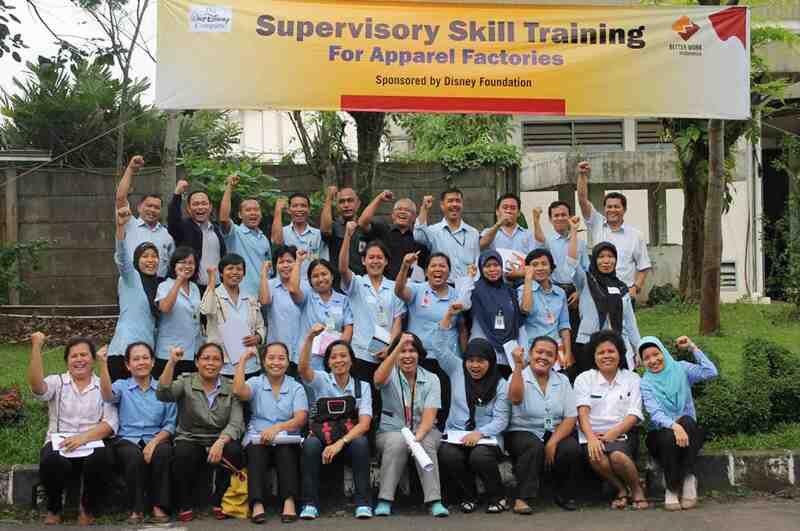 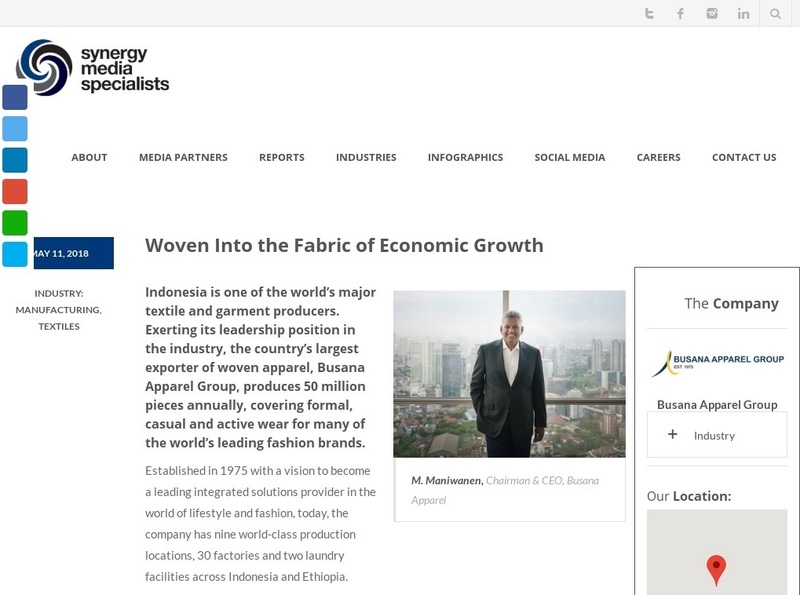 A total of 200,000 USD will be delivered to selected recipients from PT Ungaran Sari Garments and PT Citra Abadi Sejati. 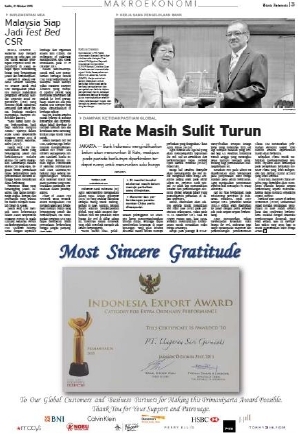 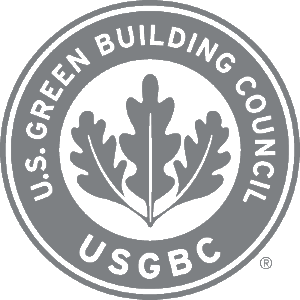 The winners of the coveted award were chosen through a rigorous selection process. 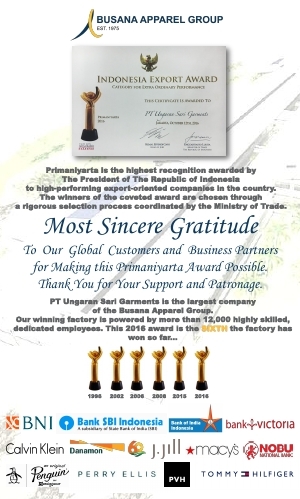 In 2016, marked the sixth year in which our Company has received the prestigious Primaniyarta Award. 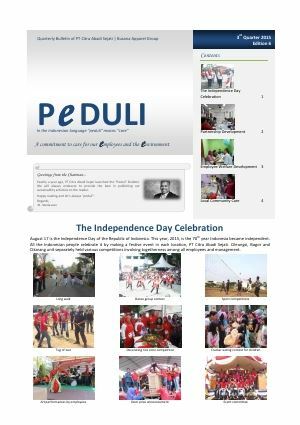 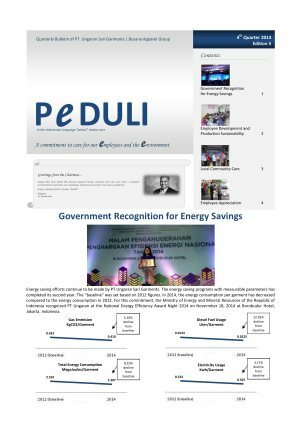 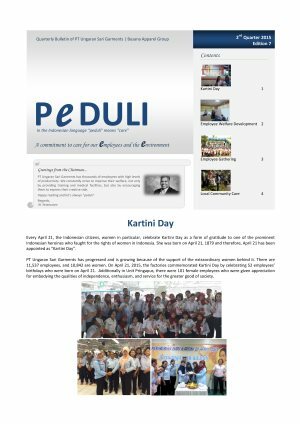 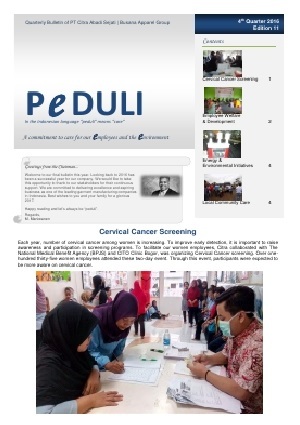 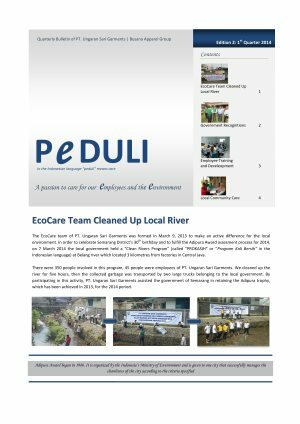 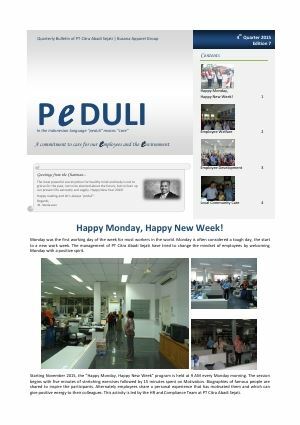 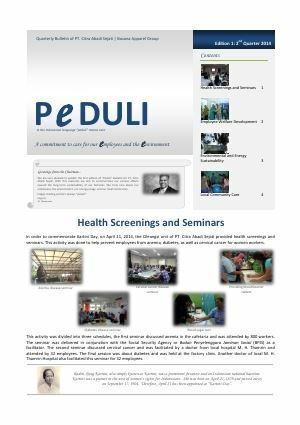 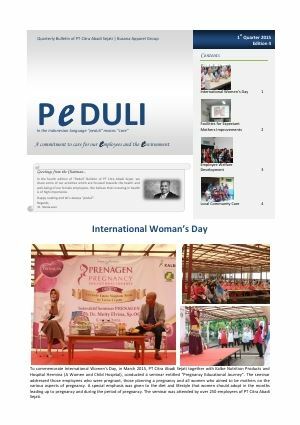 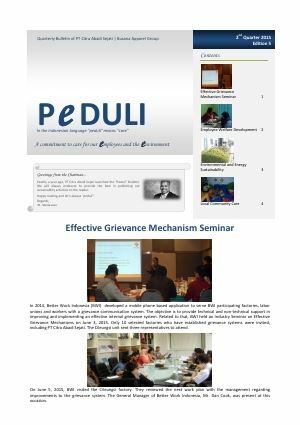 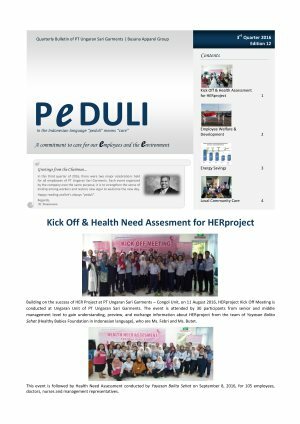 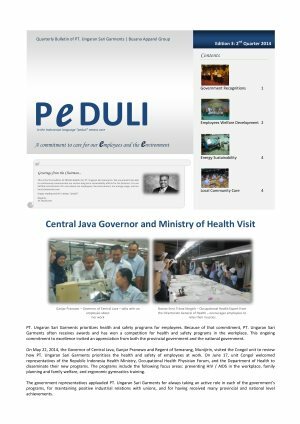 In the Indonesian language ‘peduli’ means care. 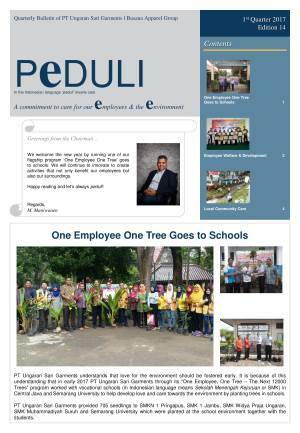 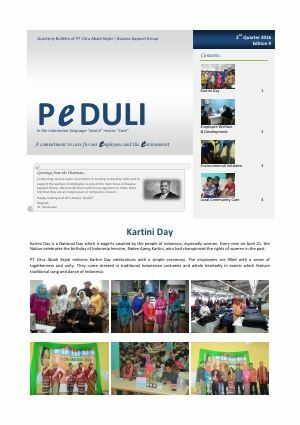 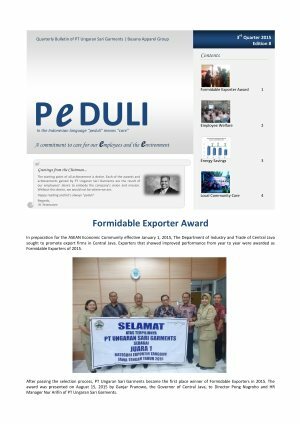 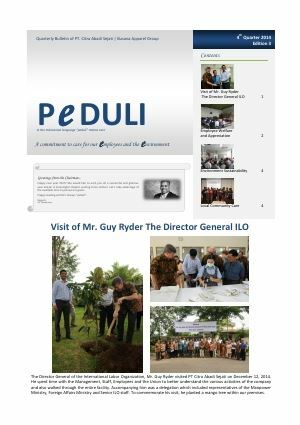 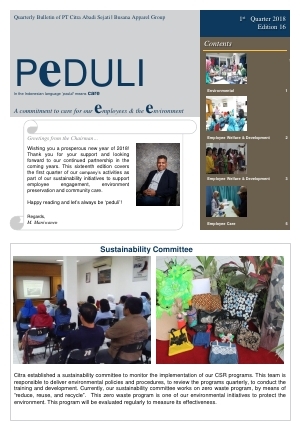 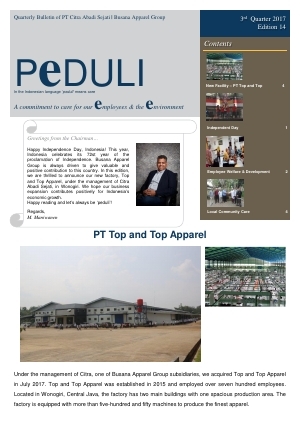 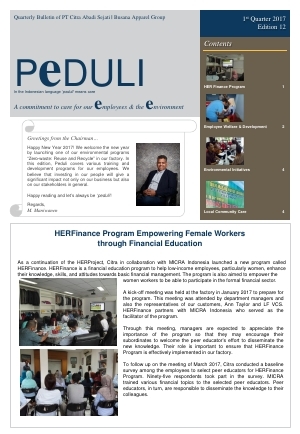 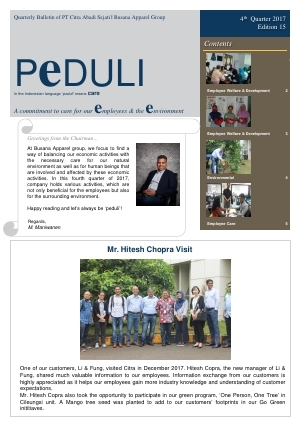 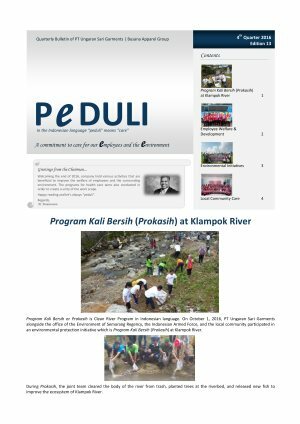 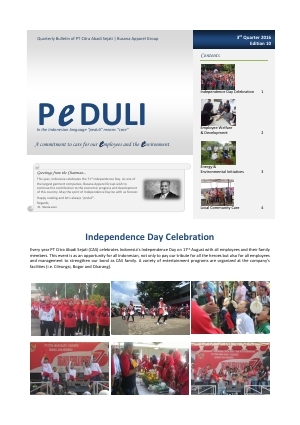 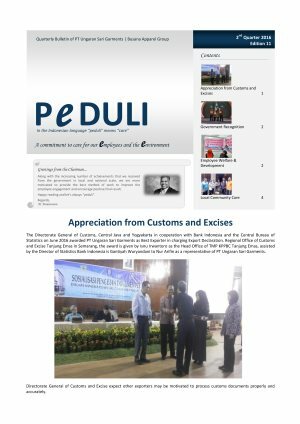 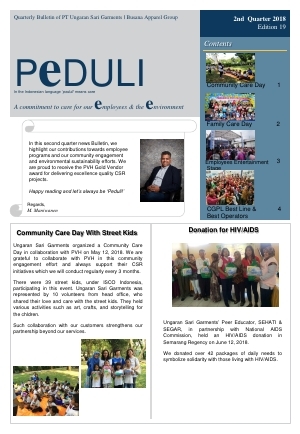 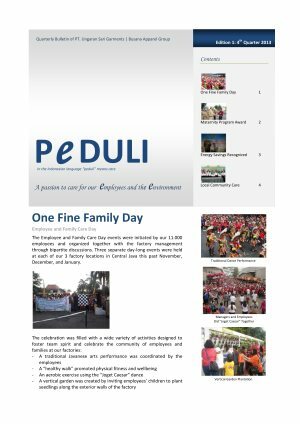 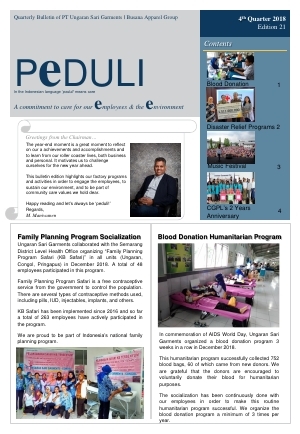 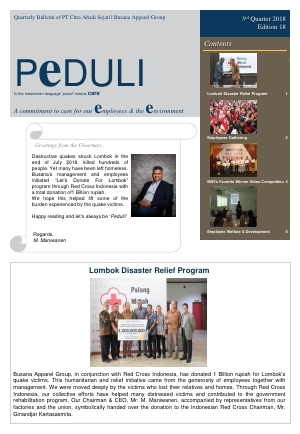 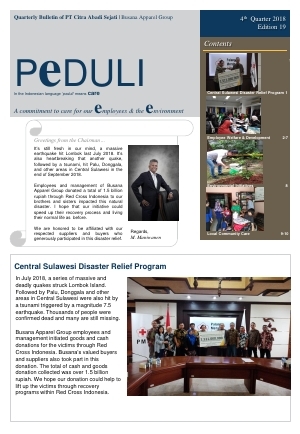 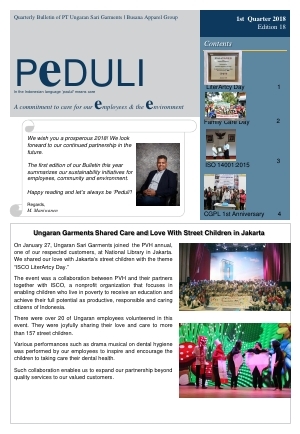 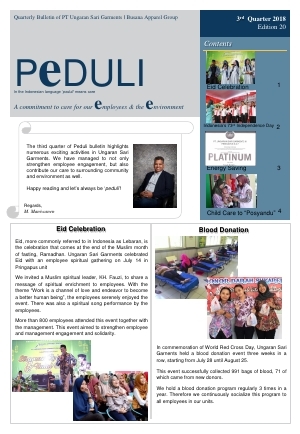 ‘Peduli’ Bulletin is a quarterly bulletin of PT Ungaran Sari Garments and PT Citra Abadi Sejati.